J.B. Pritzker, left, has pledged to help Democrats get elected across the state. State Sen. Daniel Biss, right, says Democrats shouldn't have to depend on ultra-wealthy benefactors to fund the party. Gov. 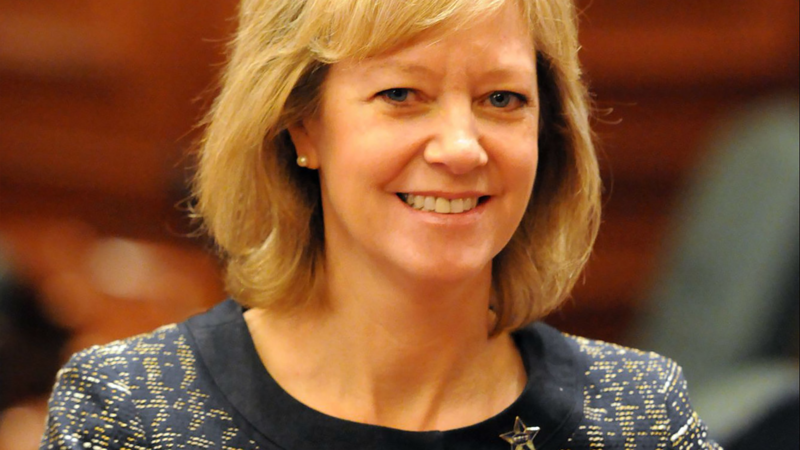 Rauner has transformed the political landscape in Illinois. In 2014, he defeated incumbent Gov. Pat Quinn in part by outspending him about 2 to 1. Since then, he's used his money to reinvigorate the Illinois Republican Party and help Republicans gain seats in the General Assembly. Democrats have watched this model and had two reactions: One says, that looks pretty good, can we get our own benefactor? We'll get to that argument in a minute. The other reaction is — well, it's one of the central campaign messages of state Sen. Daniel Biss: "We have to decide are we having an election or are we having an auction?" Biss is winning straw polls, but he's trailed significantly in what limited actual pollinghas been made public. His proposition is: vote for him, a regular guy (albeit one with a Ph.D. in math from MIT) instead of one of the wealthier candidates, like millionaire Chris Kennedy or billionaire J.B. Pritzker. "This is a fight for the soul of the Democratic Party," Biss says. "This is a fight about whether we're going to follow Trump and Rauner and just say, 'We've got to do more of that,' or whether we're going to build a different model of politics." The message is appealing to some Democrats. As a matter of principle, they say they're opposed to the wild west campaign spending that's come about since the U.S. Supreme Court struck down a lot of campaign finance laws. But there's also the question of what kind of person should represent the party. We're at the Sangamon County Young Democrats' Obama-Simon Breakfast. Linda Green says she doesn’t have a problem with someone being wealthy as long as she likes his platform. "I don't begrudge people being millionaires," she says. "It seems like it'd be hard for that person to relate with the challenges that a lot of ordinary people face from day to day," Coultas says. But I ask him: Isn't there a benefit to having a candidate who can support not only himself, but other Democrats, too? "You could frame that as a benefit or maybe you could frame it as a problem," Coultas says. "And too much power concentrated in one individual's hands, I think that's, you could argue, what we've seen on the Republican side." Pritzker has been cleaning up establishment endorsements from unions and party organizations up and down the state. He's reportedly been working hard for those. Since he's 100 percent self-funding, he's got plenty of time to travel and meet people instead of dialing for dollars. And when he does meet Democrats, part of his pitch is that he'll help them get elected. The day the Democratic County Chairmen endorsed him, they said that was a big reason why. "I want to be clear that this election isn't just about beating Bruce Rauner," Pritzker said. 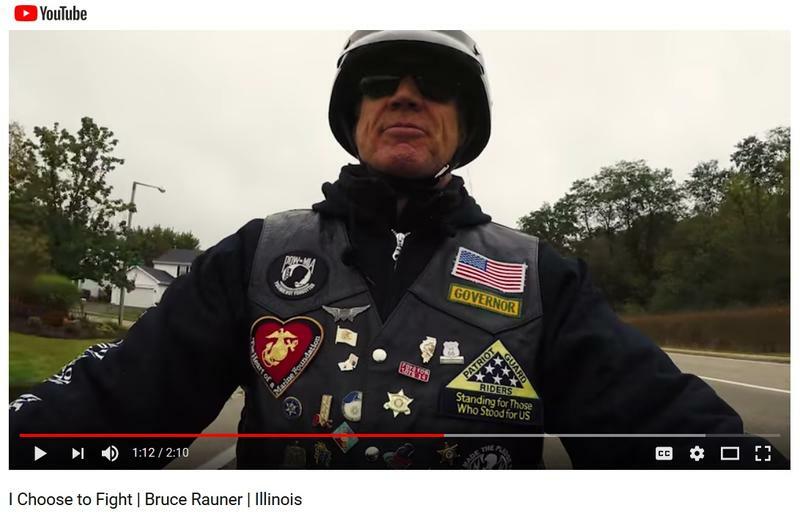 "It's a lot about beating Bruce Rauner, but it isn't just about beating Bruce Rauner. It's about electing every Democrat everywhere in this state." But this all sounds a lot like what Gov. Rauner promised the Republicans when he started campaigning four years ago. And when he got into office, he demanded near-absolute loyalty from legislators — even when it meant state representatives and senators were voting against their personal preferences and what they thought reflected the will of their constituents. "My job is not to have anybody vote a certain way," Pritzker said, "other than, you know, 'Vote for Democrats.'" Pritzker says legislators ought to always vote their conscience. And he also says his vision of the Democratic Party makes room for different kinds of people. Ultimately, Democratic primary voters will have to decide whether giving power to a man with effectively limitless wealth makes him an asset or a liability. This story was produced through Illinois Newsroom, which is a public media collaboration focused on expanding coverage of education, state politics, health, and the environment.